Happy Earth Day! I was lucky enough to grow up in the 60s, 70s, and 80s when the environmental movement was really getting rolling. It wasn’t my generation that started this movement; it was the generation that came before me, because they cared about the planet I would inherit. I guess my mom would tell me I owe them a thank you note. I’ve celebrated many Earth Days, through essays at school (in the “my hero” essay, I chose Jacques Cousteau), cleanups in local parks, and protests on the U.S. capitol lawn. 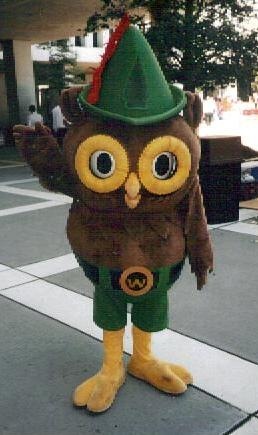 I’ve dressed up as a clean water droplet (I worked for EPA) for an Earth Day celebration on the Washington mall, and I’ve dressed up as Woodsy Owl (“give a hoot, don’t pollute") for another DC Earth Day celebration. So what’s on the menu for this year – more of the same! More celebrating, more teaching, more activism, more enjoying this beautiful planet on which we live. Need some ideas for Earth Day activities? Here’s your Earth Day menu. Choose one from column A and one from column B and get started! Choose a climate change Earth Day activity Choose one environmental action that takes a little extra work. Commit yourself to that action over the next year. Clean up a local park or waterway – wear gloves! If you live in Vienna VA, attend the Green Expo! Put your reuseable shopping bags in the back of your car and use them! Check out the list of Low Hanging Fruit on this blog for more ideas!